It’s the very first sign of fall. 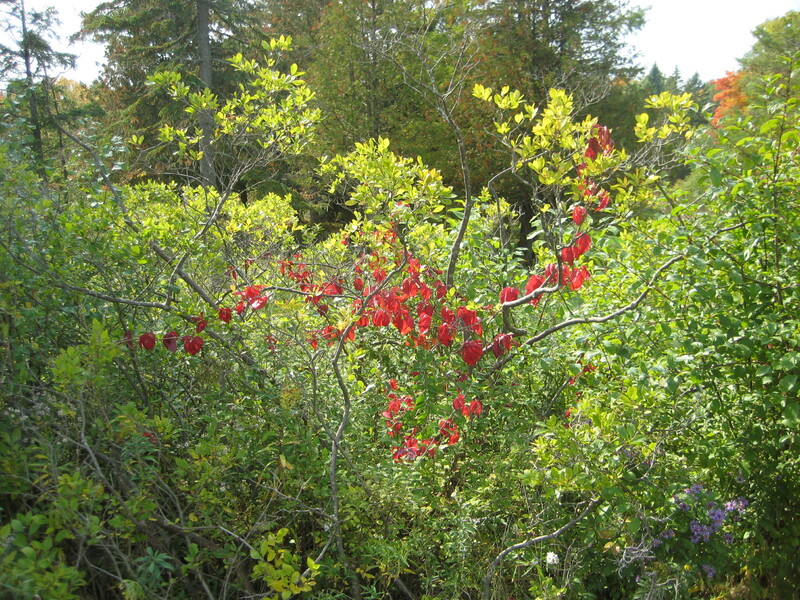 A sudden spatter of bright red leaves, red as a stop sign. 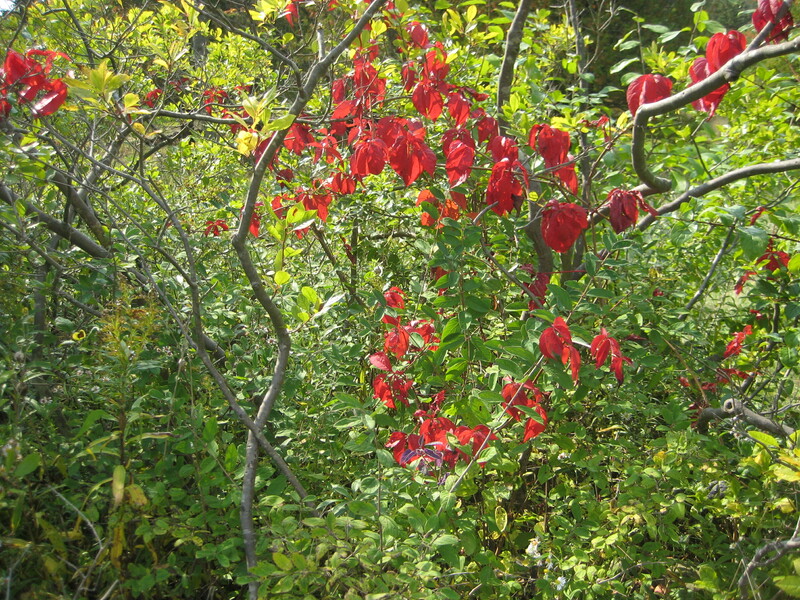 A red warning, mingled with the green leaves. Pulls me up short every time. It’s the Virginia creeper. A slightly ominous sounding name, like an old folktale—beware the Virginia creeper, my son. 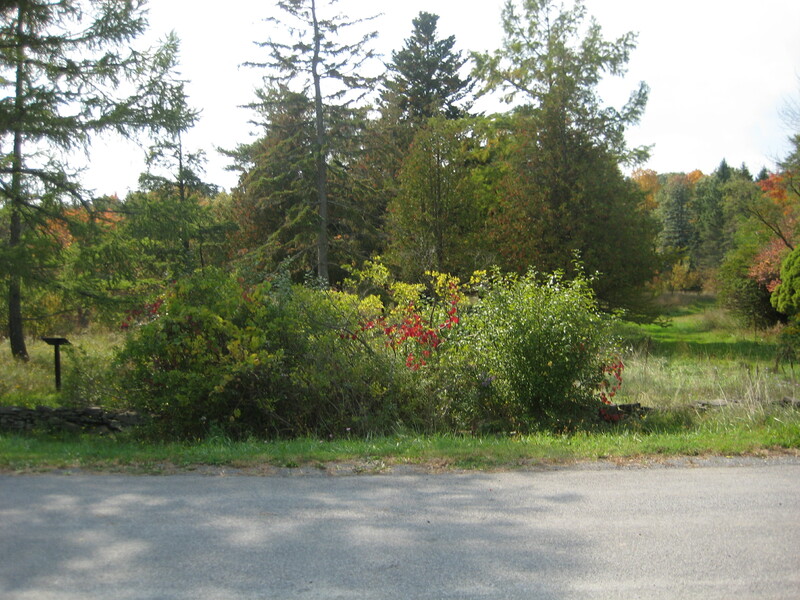 The plant does have a bad reputation, because many people confuse it with poison ivy, which often grows in the same places. But Virginia creeper is harmless. Well, almost. The leaves are certainly harmless—they have five leaflets, not three, and aren’t related in any way to PI. Virginia creeper’s a vine, so it creeps up the sides of trees, but the sparse leaves rarely cast enough shade to damage the tree. The berries are slightly toxic, but they also taste bad and are an emetic, which means they make you throw up, so you’d have to be bent on suicide to eat enough to really harm yourself. 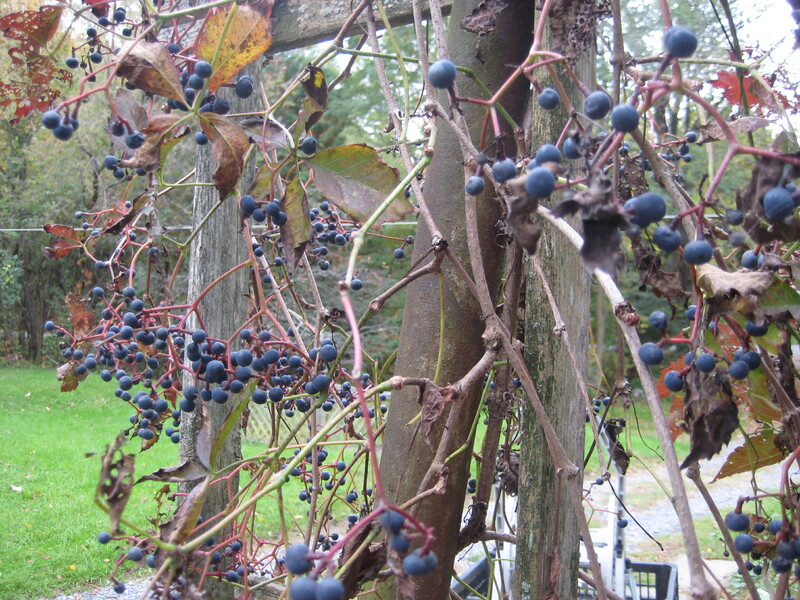 But the berries are excellent food for migrating birds. And that’s why the leaves go so bright, so red, so suddenly. They want to attract attention. Berry-eating songbirds tend to have little sense of smell, but good color vision. Birds ignore Virginia creeper all summer long. But as soon as the berries ripen, the leaves turn that vivid red, almost overnight—like waving a flag to the flocks passing high overhead. Come here and eat me! The birds eat the berries and of course poop out the seeds, and so Virginia creeper is a very widespread plant, having its own built-in transportation system, so to speak. It usually starts about mid-September, that stop-sign red. It really hits you in the eye against the green of the leaves. 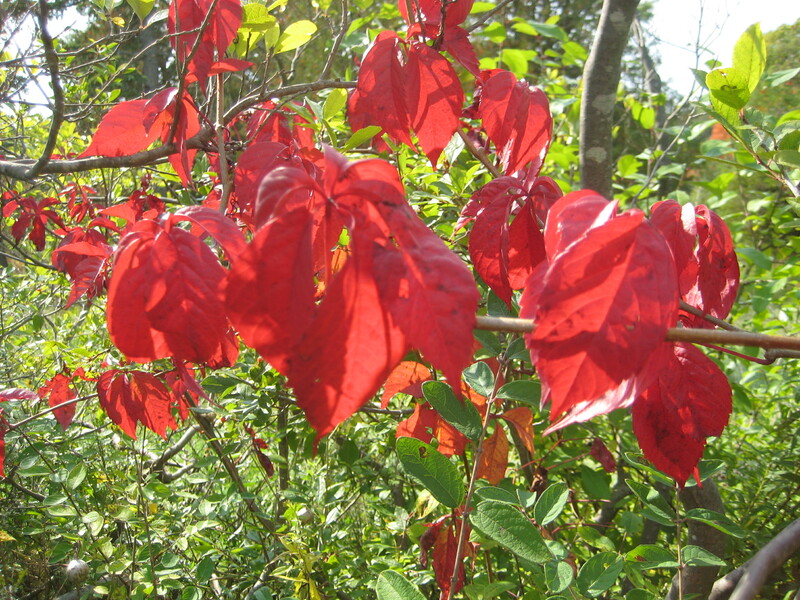 Now in mid-October, the effect is muted, but Virginia creeper is still the reddest leaf in town.